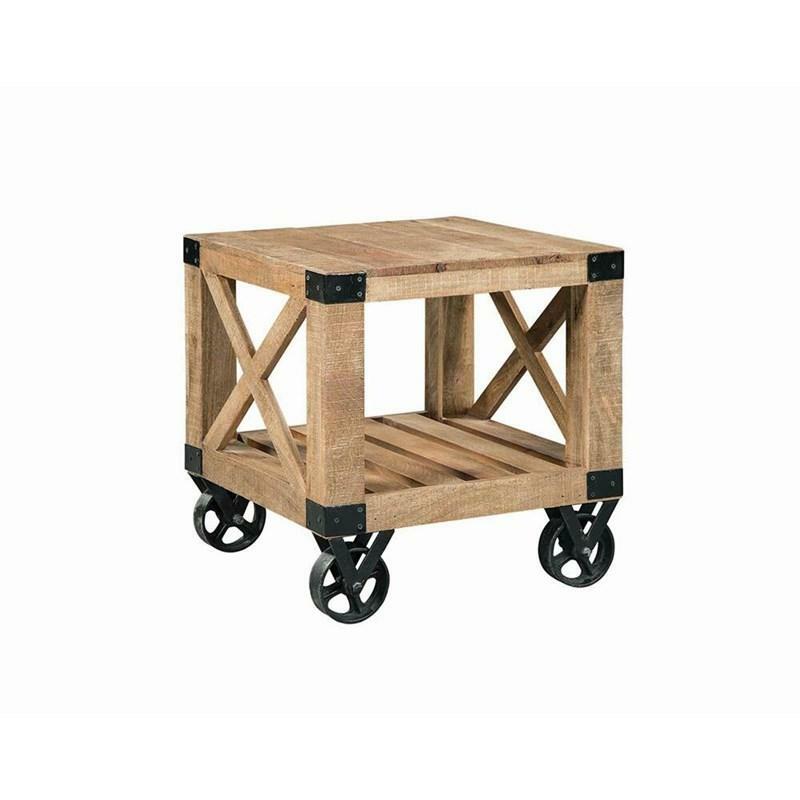 This End Table from the Workshop collection by Scott Living offers a fun industrial look with its natural wood, metal accents, and wheels. 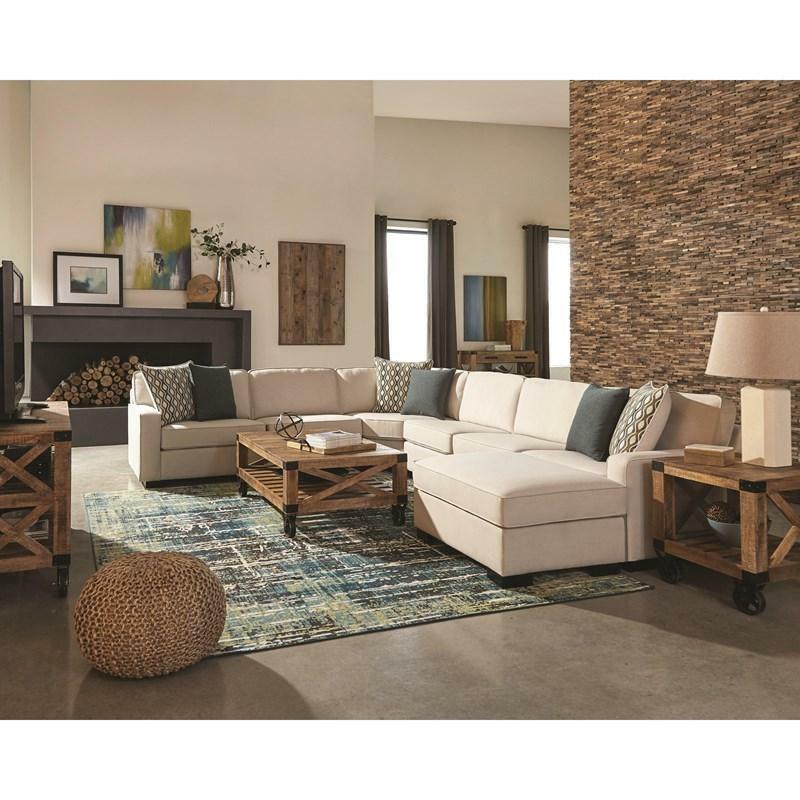 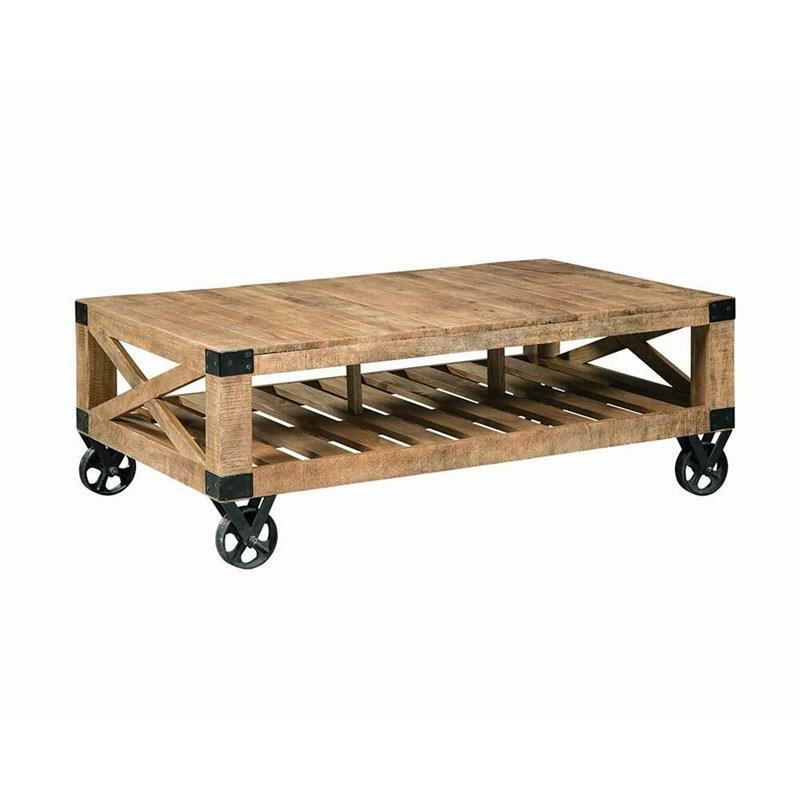 It is made of solid wood and a natural worn in wood in a natural rough mango finish. 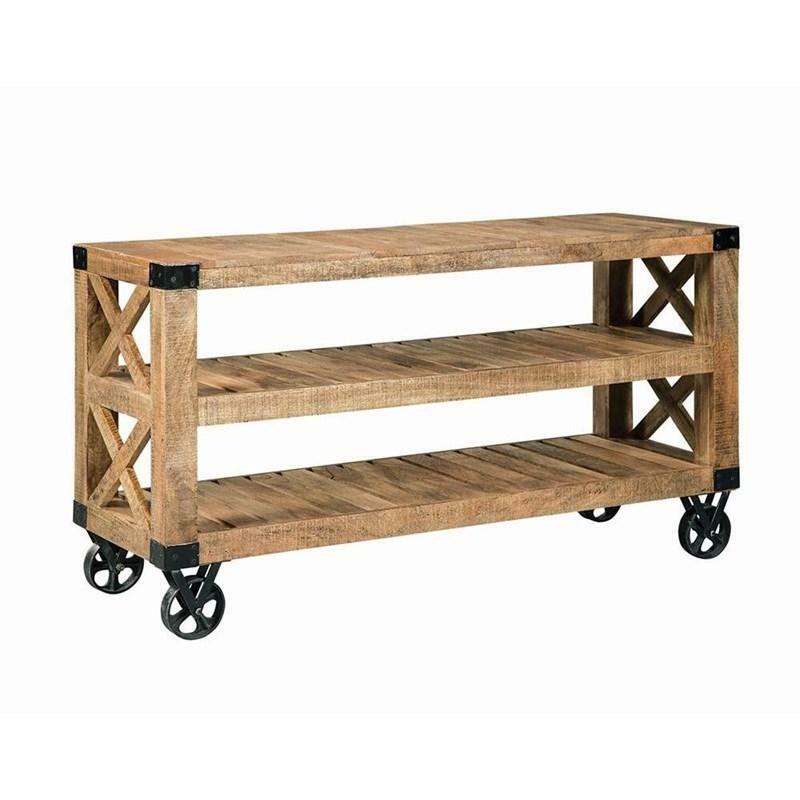 It features a slatted style open shelf and X-design accents brackets in matte black finish.